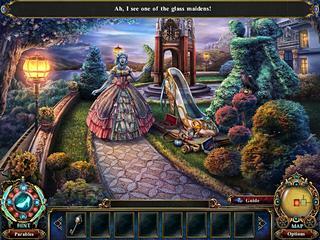 Dark Parables: The Final Cinderella is a hidden object puzzle adventure game based on a well known story. The game tells a tale full of adventure and unexpected turns. And all that is wrapped into gorgeous graphics and wonderful music. There's a map to help you travel but it oly reveals the areas of interest without actually transporting you there. You play as a detective whose job is to stop the evil witch that is trying to find the real Cinderella. Many maidens are in danger before her search is over. You need to find a way to stop the whole process because the ultimate plan of the witch is to conquer the world. The game's audio visual presentation is very beautiful. The colors are very impressive and makes you want to stay in that world just a little bit longer. The voice overs make it even more magical experience. The game play is offered in three modes of difficulty. There's a map to help you travel but it oly reveals the areas of interest without actually transporting you there. There are special cards scattered throughout the game and a number of morphing objects. The cards tell you stories of different villains and princesses and go to a special book. 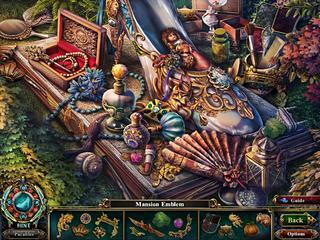 There are many interactive hidden object scenes and many puzzles to solve. The game is very addictive and enjoyable and it also quite long with the basic game and bonus chapters. This is Dark Parables: The Final Cinderella review. Download this game here.